Located in Hazelton Lanes, an exclusive shopping mall in Toronto’s upscale Yorkville District, this project is comprised of a 1000SF expansion to an existing TNT Woman previously designed by Johnson Chou. 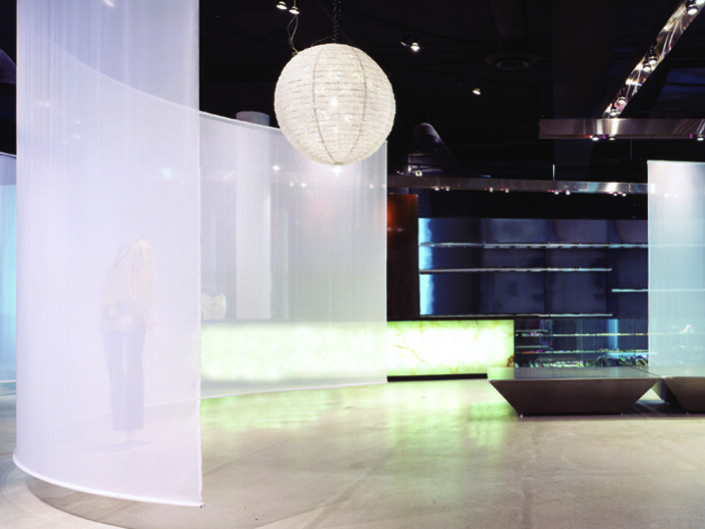 The design brief was to create four intimately proportioned boutiques within a pared-down, elemental space to feature the products of international and Canadian fashion designers in an alternating venue. 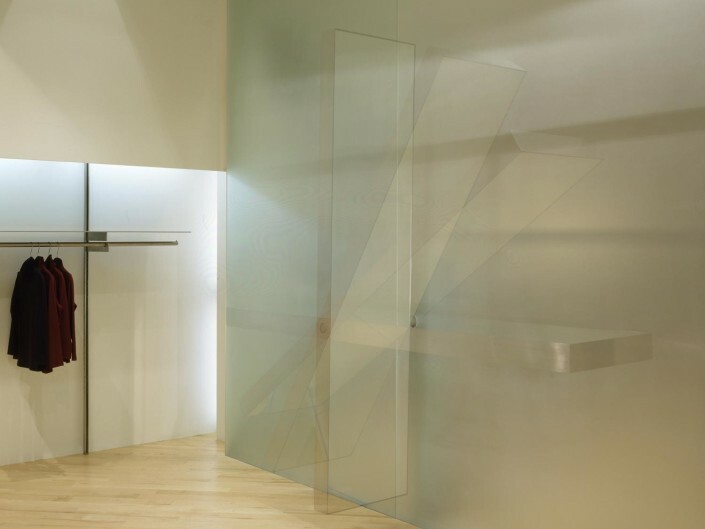 Furthermore, in addition to display racks within each boutique there is to be a mirror and a folding table, the latter to double as a display table when necessary. 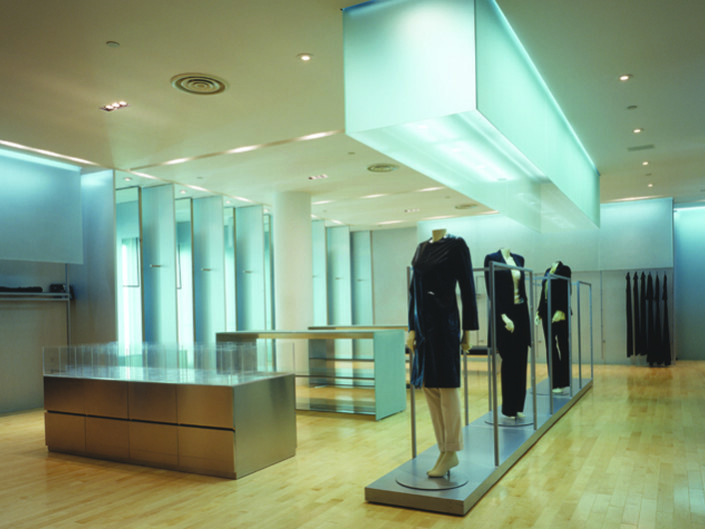 Lighting and scale of the boutiques were of particular concern. The design solution was equally elemental, yet complex in detail. 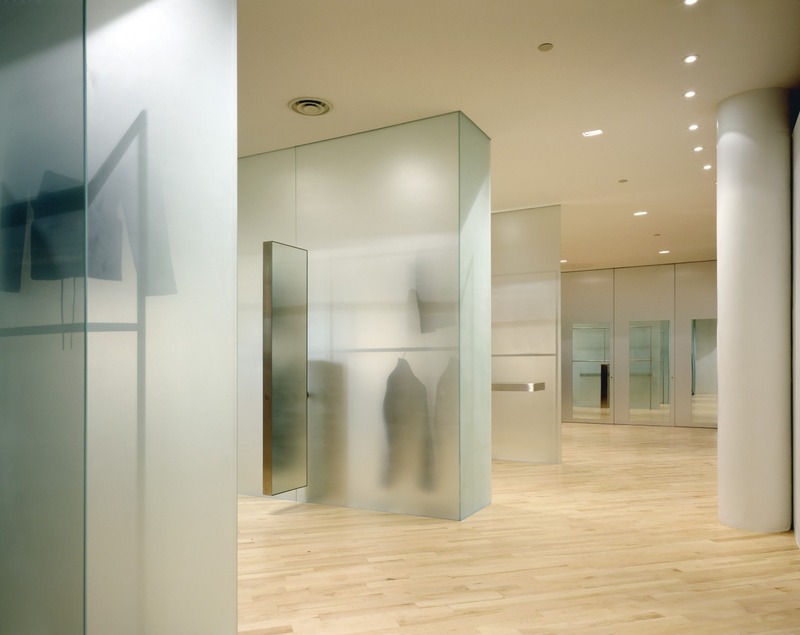 The boutiques are defined by translucent glass screens spaced 10 feet apart to create four individual rooms. Adjacent to the screens are adjustable display racks, also custom designed and recessed into drywall alcoves. float against the glass; cantilevered from the axle or pivot, which in turn is hidden from view. The axle extends through an opening in the glass to the pedestal/rack situated on the opposite side of the glass. The pedestal also functions as a support base for the freestanding display rack. The mirror/table is engineered with springs and counterweights to hold itself in any position between the vertical and horizontal. There is also an audible “click” indicating when locked in its final position. 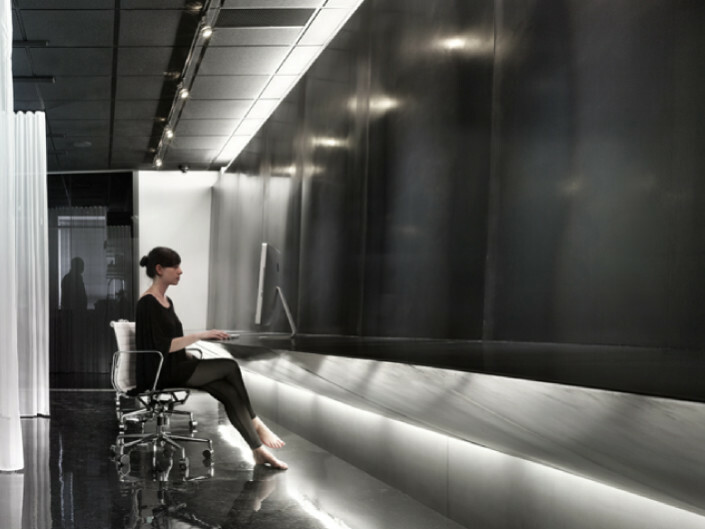 With its dramatically composed lighting, white walls and translucent glass screens, TNT Woman evokes the ambience of a serene, ethereal space. Combined with mechanistic elements that subtly animate and transform the boutique according to use, these architectural elements have been composed to recede and function as both apparatus and backdrop to the clothing displayed.